Vietnamese culture and civilisation have been profoundly influenced by the Chinese, and to many observers of Vietnamese history, China has long treated Vietnam as a sort of renegade province rather than an independent entity. However, the Vietnamese existed as a people in the Red River Delta region long before the first waves of Chinese arrived more than 2000 years ago. History has of course influenced the mix of Vietnamese minorities. The steady expansion southwards in search of cultivable lands absorbed first the Kingdom of Champa and later the eastern extent of the Khmer empire, and both the Chams and the Khmers are sizeable minorities today. There are perhaps one million Khmers inhabiting the Mekong Delta, or what they refer to as Kampuchea Krom (lower Cambodia), and almost as many Chams living along the coastal regions between Phan Rang and Danang. Traffic was not only one way. Many of the 50 or more ethno-linguistic minority groups that inhabit the far northwest only migrated to these areas from Yunnan (China) and Tibet in the last few centuries. They moved into the mountains that the lowland Vietnamese considered uncultivable and help make up the most colourful part of the ethnic mosaic that is Vietnam today. 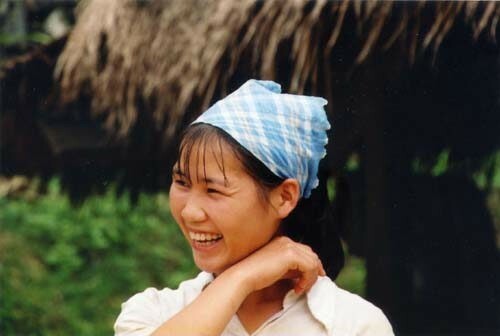 For more on Vietnam’s minority hill-tribe groups. While the invasions and occupations of old may be over, the largest minority group in Vietnam has always been the ethnic-Chinese community, which makes up much of the commercial class in the cities. While the government has traditionally viewed them with suspicion, and drove many of them out of the country as ‘boat people’ in the late 1970s, many are now comfortably resettled and play a major part in driving economic development.